Let me begin by conveying, on behalf of the Islamic Republic of Afghanistan, our sincere appreciation to our friends of the Republic of Nepal for their successful leadership of the Least Developing Countries. Your able leadership at a time when the world is confronting various challenges helps us to maintain our unity, expand and strengthen cooperation among the members of our group. Not long ago, the Fourth United Nations Conference on Least Developed Countries was held in Istanbul, generously hosted by of our brothers the people and government of Turkey, where the Istanbul Declaration and Programme of Action was adopted. This strategic document will remain a roadmap for us to achieve the eradication of poverty and our internationally-agreed development goals. It is imperative that we implement the Istanbul Programme of Action, and integrate its provisions into our national development policies. 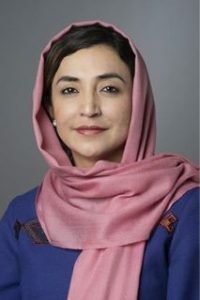 Afghanistan also welcomes the report of the Secretary-General on the Outcome of the Fourth United Nations Conference on the Least Developed Countries for the Decade 2011-2020. 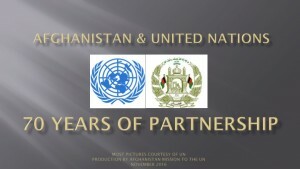 Afghanistan is concerned over the multiple global crises of extensive poverty, climate change, financial and economic crises, and threats of terrorism, volatile energy prices and food shortages.Â All of these challenges have had enormous deleterious effects on the implementation and realisation of our MDGs. As LDCs are heavily reliant on agricultural products, improving and increasing productive capacity and competitiveness with the assistance of our development partners is of significant importance. Conversely, the disastrous effects of climate change have become one of the greatest obstacles to the prosperity and sustainable development of LDCs.Â Natural disasters such as flooding, droughts, earthquakes and mudslides are becoming more frequent in our part of the world. None of us can afford to experience the devastating effects of such calamities, on our people, our agriculture, our environment, and our infrastructure.Â As members of LDCs, we must come together for a strong common position on issues related to climate change and environmental degradation. In a globalized world, we cannot and should not isolate ourselves from international markets and cooperation with the rest of the world. However, it is only prudent for us to adopt policies to free ourselves from total dependence on international assistance and vulnerability to the shocks of the international market. Afghanistan fully supports the position of the LDCs, in calling upon the G-8 countries to give due consideration to the LDC agenda and take appropriate measures to ensure that the concerns of LDCs are taken fully into account in their decisions. Afghanistan further supports the LDCs position on the need for strengthening the Global System of Trade Preferences among developing countries (GSTP), and increasing the volume of development assistance and financial flows, technology transfer, and duty-free, quota-free market access being provided by countries of the South to LDCs. We welcome such initiatives and call for other members in the South to do the same. Afghanistan has achieved great progress over the past 10 years. However, we still live in a part of the world where trans-national threats such as terrorism, extremism, poverty, organized crime and natural disasters still exist. Terrorism is among the dominant challenges in our region. In terrorism, we all share a common enemy, regardless of our cultural and religious differences. The terrorism threat we face is part of a complex and sophisticated network, responsible for attacks across our region, in defeating terrorism will not be possible without an effective global strategy. We must focus more on addressing terrorist safe-havens and sanctuaries in our region, which operate as the life-line for terrorist activity. Unless this is achieved, all our efforts will be in vain. Widespread poverty and a lack of socio-economic opportunities are another critical challenge which we are confronted with. Afghanistan is pursing regional cooperation as the cornerstone of our overall efforts to secure peace, stability and prosperity. In that regard, we are working with the region and the international community to revive Afghanistanâ€™s central position in promoting and developing regional trade and commerce through the New Silk Road Initiative, to the shared benefit of all involved. Â Â In that regard, like other LDCs Afghanistan is looking forward to the United Nations Conference on Sustainable Development (Rio+20) to be held in Brazil next year. Rio+20 will focus on the green economy in the context of sustainable development and poverty eradication, and the institutional framework for sustainable development. We call upon the international community to seize this opportunity to strengthen the coordination and coherence between the United Nations system and all other multilateral financial, trade and development institutions to support economic growth, poverty eradication and sustainable development in the LDCs. In conclusion, let me reiterate Afghanistanâ€™s steadfast commitment to advancing the goals of the Istanbul Declaration and Programme of Action and repeat our assurances of our highest consideration and closest cooperation in working with all of you.